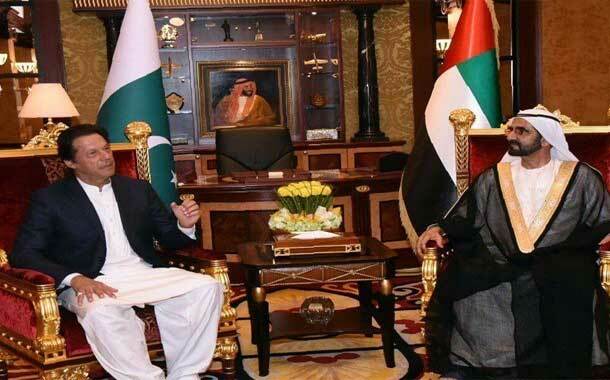 Islamabad: Prime Minister Imran Khan has said relations between Pakistan and the United Arab Emirates are based on mutual support and cooperation and it will further strengthen in future. In felicitation letters to the leadership of UAE on its 47rd National Day, the Prime Minister said that the development, prosperity and good governance of United Arab Emirates is exemplary in a short period of 47 years. He said that it is a matter of confidence that relations between the two countries havc changed into a long term strategic economic partnership through improving bilateral and expanding relations in all sectors. The Prime Minister also expressed his wishes and sentiments on behalf of government and people of Pakistan to the leadership of United Arab Emirates praying for its development and prosperity.